Pictured, Toledo, Ohio woman, Elizabeth LeCron. Elizabeth LeCron a Toledo, Ohio woman arrested after social media posts revealed her planning upscale mass murder plot. A fascination for mass murder and terrorism. An Ohio woman who’d corresponded with Charleston, South Carolina, church shooter Dylann Roof was on Monday accused of planning to commit ‘an upscale mass murder’ at a Toledo bar. Elizabeth ‘Bee’ Ridge LeCron, 23, one of two people arrested in terrorism-related cases, was charged with purchasing bomb-making materials that the FBI said she intended to use the Toledo Blade reported. LeCron’s arrest followed authorities receiving a tip in relation to her social media activity with notice sent to the Northwest Ohio Joint Terrorism Task Force, US Attorney Justin Herdman said Monday during a press conference. On Friday, she bought two pounds of a muzzle-loading propellant, and then went to another retailer in Perrysburg, where she bought 665 screws of various sizes. A raid on LeCron’s apartment uncovered pipe bomb materials, as well as a semi-automatic rifle and other guns, according to the Daily Beast. Elizabeth LeCron: A desire to engage in acts of death and destruction. Federal records revealed Lecron being charged with one count of transportation of explosives and explosive material for the purposes of harming others and property. Lecron had previously indicated an interest in other attacks, including unleashing farm animals and ‘targeting a pipeline in an undisclosed location in Georgia,’ according to authorities. Lecron also allegedly suggested an attack on her workplace, which she described as polluting a river. Elizabeth LeCron social media profile. Homeland Security can kill us all. Elizabeth Lecron social media: Glorification of violence, terrorism and mass murderers. 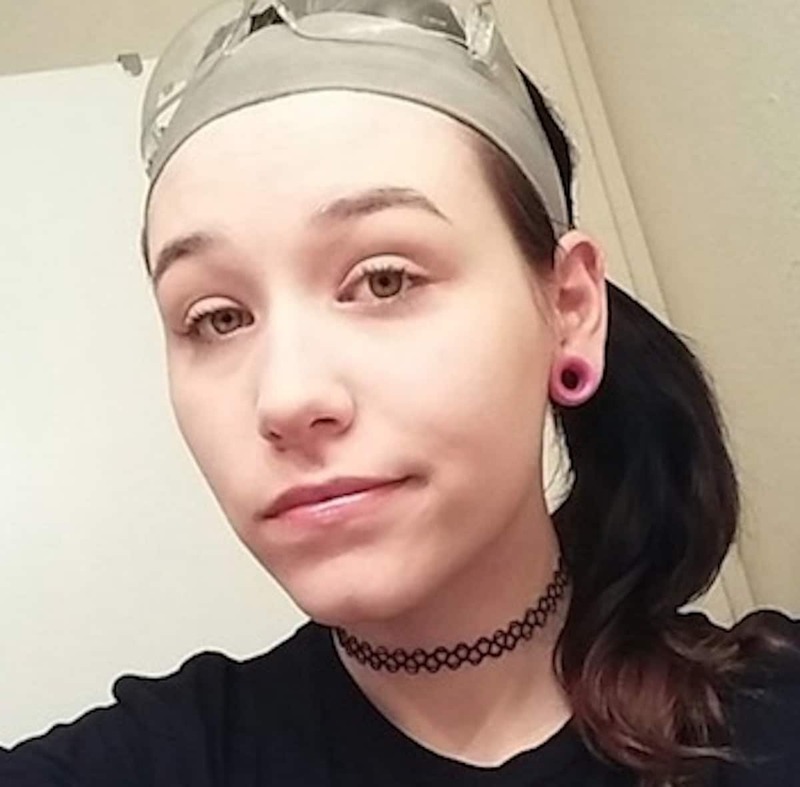 A regard of LeCron’s social media profile showed her ongoing glorifying mass murderers — particularly Roof and the shooters who killed 13 people at Columbine High School in Colorado in 1999 — and displaying ‘a fascination with mass casualty events,’ officials said. When Tumblr shut down Lecron’s account, ‘ligaturemarkings’ – because of offensive content, she started a new one titled ‘CharlestonChurchMiracle,’ according to a news release from the Department of Justice. The blog posts according to feds portended to mass murders, serial killers, school shooters including the Columbine killers and of late, Nickolas Cruz, the accused Parkland shooter. Some of the posts according to feds appeared a call to action. LeCron traveled over a 1000 miles- where she visited a Columbine memorial along with exchanging letters with Roof, a white supremacist who slaughtered nine worshipers at an African-American church in Charleston on June 17, 2015. He was convicted in federal court of all counts and sentenced to death. Of note, Lecron, was one of only four people Roof is known to have corresponded with during his incarceration in an Indiana prison. During a search in August 2018, police said they found an AK-47 rifle, handguns, ammunition and bomb making materials at Lecron’s residence. Lecron faces up to 10 years in prison if convicted. 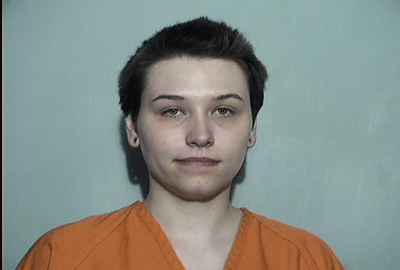 Investigators say Elizabeth Lecron wanted to attack a second floor Toledo bar.